Tags: idle, champions, early, access, update, event, grand revel, birdsong. 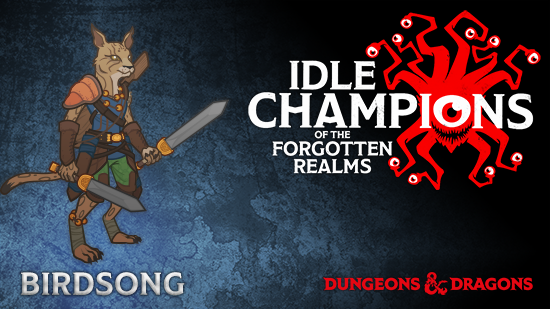 Grand Revel is our seventh limited-time event for Idle Champions, which starts today and lasts until Tuesday, February 27th, 2018, and introduces Birdsong, the Tabaxi Bard! Birdsong, a cunning young Tabaxi bard, learned to defend herself while enslaved by the Yuan-ti. Proficient in playing the lute, Birdsong discovered her potential as a bard when witnessing the effect her songs had on other slaves. After her escape, she became one of the greatest minstrels of Chult. 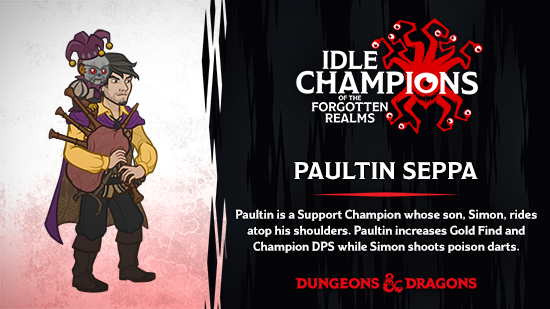 She promised herself to, one day, get revenge on the Yuan-ti who destroyed her village. When you want to add Birdsong to your party, you can swap her with Makos or Drizzt. Added the Grand Revel event, our seventh limited-time campaign event! The event will run until Tuesday, February 27th at noon PST. 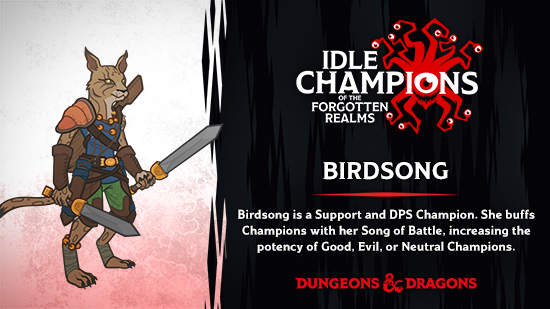 Added a new Champion: Birdsong, the Tabaxi Bard. Added a new event Divine Favor: Sune's Favor.